This week, pair up a nonfiction book with a fiction title. or just two titles that you think would go well together. by reading a nonfiction version of the story. 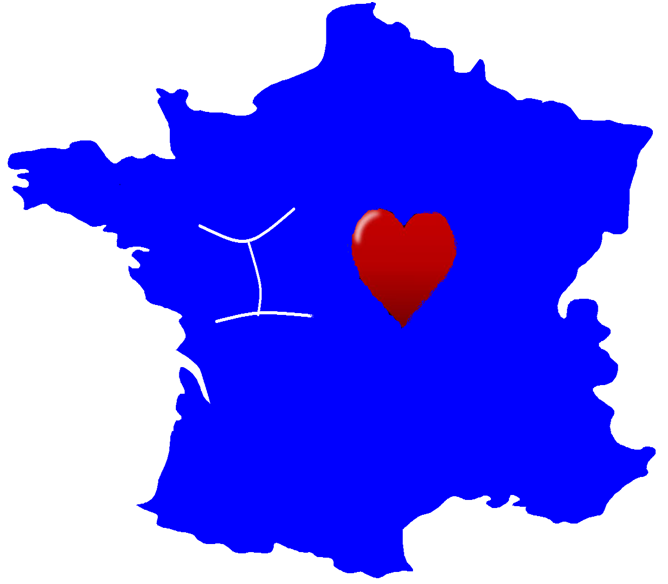 Today, I’m offering you 4 novels paired with 4 nonfiction books, all related to France! FRENCH BOOK PAIRING COMING TO MIND? via Edelweiss in exchange for a fair and honest review. 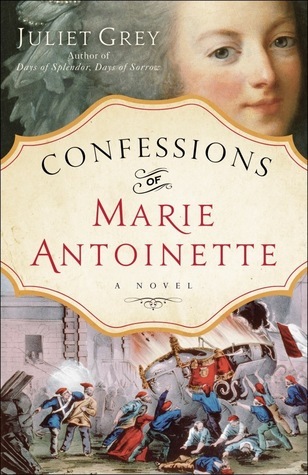 As I read the first volume of this trilogy, Becoming Marie Antoinette, then the second, Days Of Splendor, Days of Sorrow, I thought I had to read the last one: Confessions of Marie Antoinette. My favorite of all three remains the first. Though it sounds like the author read my review of the second: in the third volume, there are far less French words used, and with fewer mistakes as well. 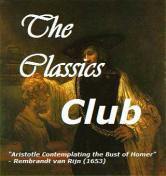 There are still some, but not as many as to make me list them as I did in my 2nd review! In this book, we are just before and during the French Revolution, and eventually the arrest and death of both Louis and then Marie Antoinette. I’m very divided about this book. I do acknowledge that the author seemed to have done a lot of serious research about her main character. But sometimes I had the feeling she wanted to crammed in all the information she had found, and it didn’t seem she was too successful at integrating these data in the novel format. I guess there’s also a good sense of urgency and suspense, though having studied over and over again these events in history classes, I could not feel any effect of surprise. Not sure the character of Louison, a young sculptress witness to the events, was all that necessary, at least the way she was presented. When she appeared in the story, I could not but think of how Michelle Moran used another artist, Madame Tussaud, to draw her majestic painting of the French Revolution. Madame Tussaud was at the heart of the story, stuck between royalists and revolutionaries, therefore telling the story from her point of view was pure genius. Louison here is not enough present to make her a significant voice. The art of historical fiction is very difficult, and I have run into fantastic writers recently, so I guess I’m getting very choosy, and I expect a perfect merge of data into a novel form, not suddenly a few pages that look like my French history text books. Also, if I consider the whole trilogy, I’m not sure I’m in the presence of the same character. People evolve, definitely, but I did not feel any smooth transition between the superficial Marie Antoinette of the 2nd volume and the mother so loving towards her children in the third. Again, I may be comparing Juliet Grey to too high a standard, as I remember the amazing evolution of the character of Cromwell between the first and second volumes by Hilary Mantel. But, hey, if someone is able to do it at perfection, it IS possible to attain and repeat, maybe. 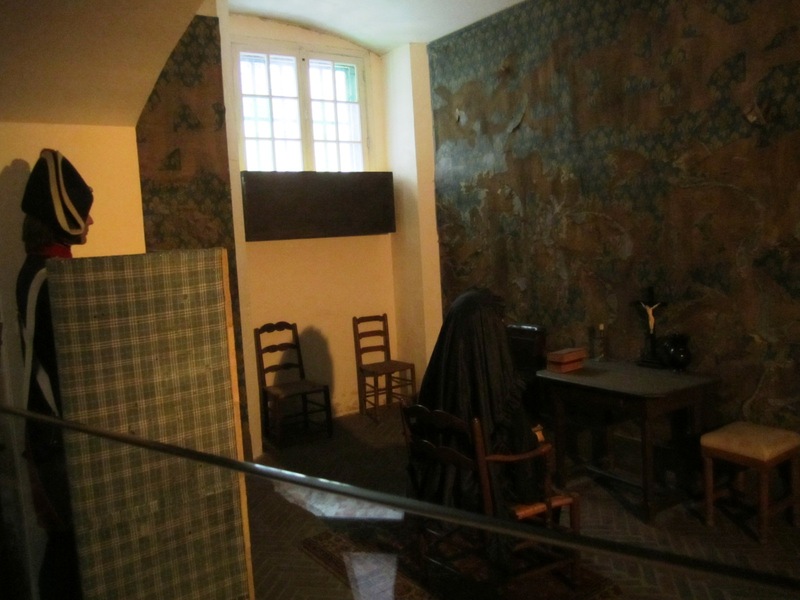 Having visited La Conciergerie, where Marie Antoinette was held a prisoner at the end of her life, made some scenes very real to me. My friend guide at the Basilica of Saint Denis, where she has been reburied, (have you seen my pictures of this gorgeous church?) even told me that every week, some devotees bring red roses to put on her tomb! 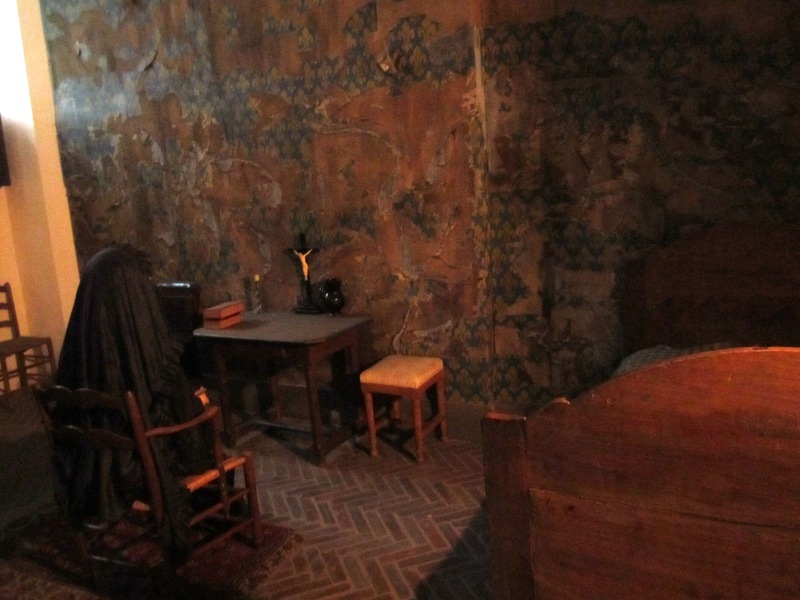 So whether this book really tells Marie Antoinette’s confessions or not, she is still dear to the heart of many people! As you can see, she was under the constant vigilance of a guard, after she tried to escape – she almost made it! 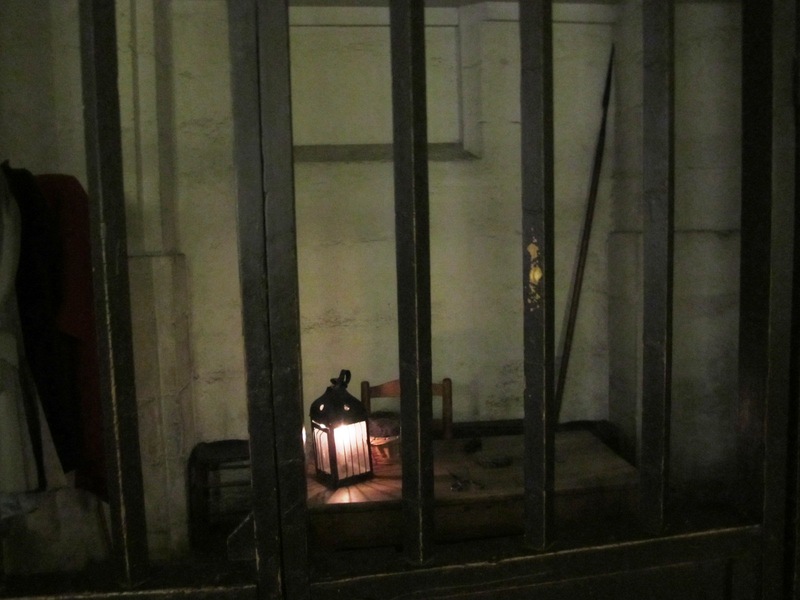 Juliet has many pages on these guards and Marie Antoinette in her cell. 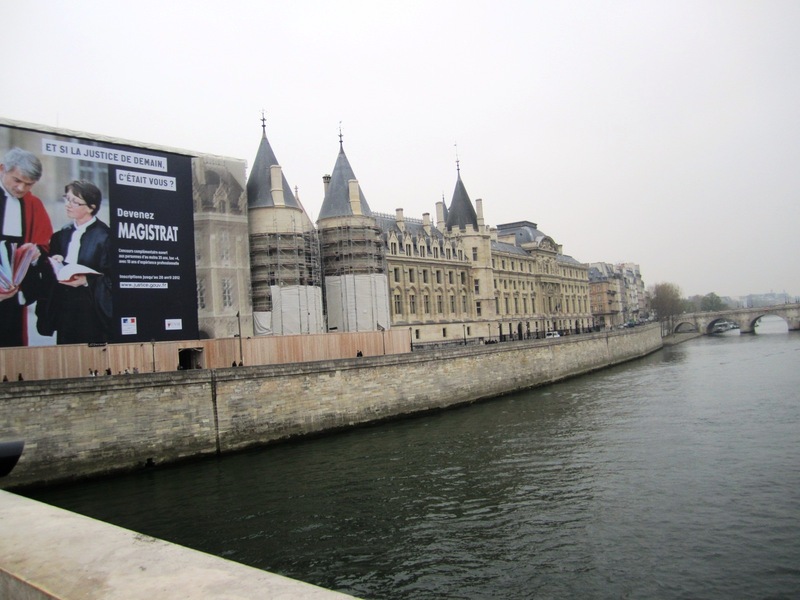 I wrote a special post on La Conciergerie, with more pictures, and more details on its history. and is a particular devotee of Marie Antoinette. between New York City and southern Vermont.